The conference takes place from Wednesday 15 May 2013 (approx. 2 pm) to Friday 17 May (approx. 2 pm) at the Johannes Gutenberg University of Mainz, Johann-Joachim-Becher-Weg 3-9, Mainz, Germany. 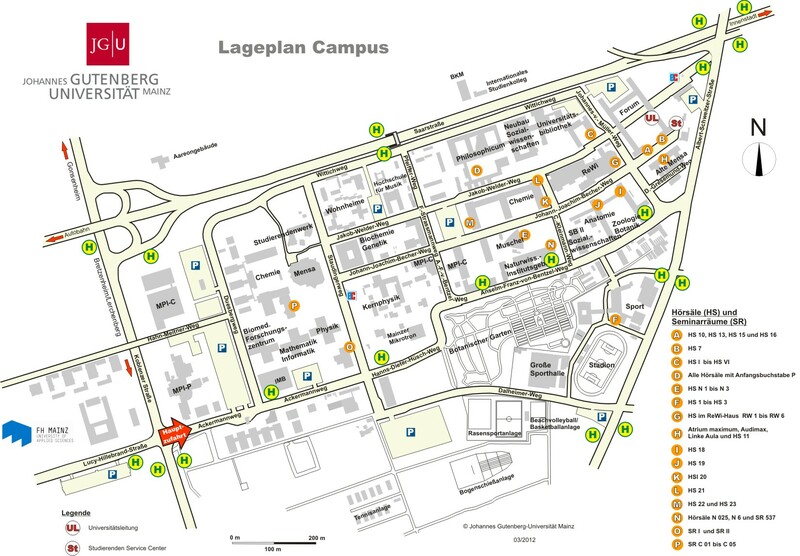 Here is a campus map, the talks are in building H Atrium maximum. Wireless networks like eduroam are spread and accessible over the campus.